I wrote about one of my favourite brunch spots in the first part of my Bangkok series. That clearly is not the local meal tourists are looking for when in Thailand though. 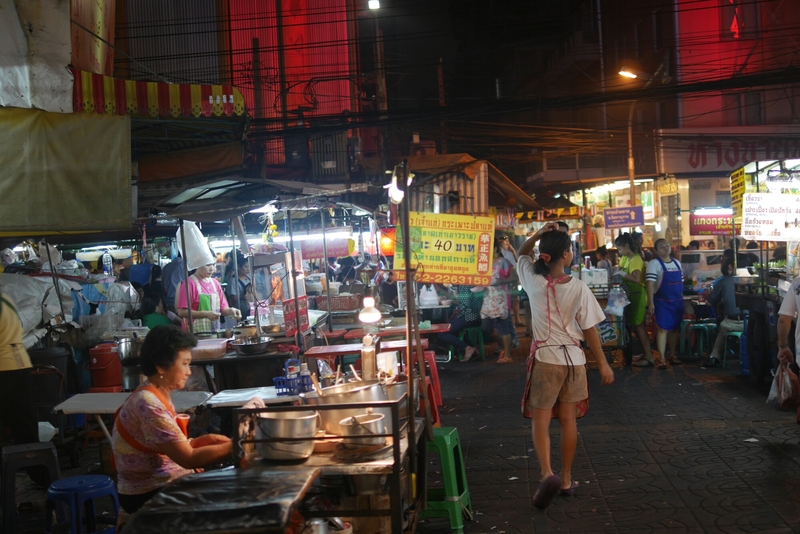 Here, I’m going to go through a few easy places to get great local Thai food. 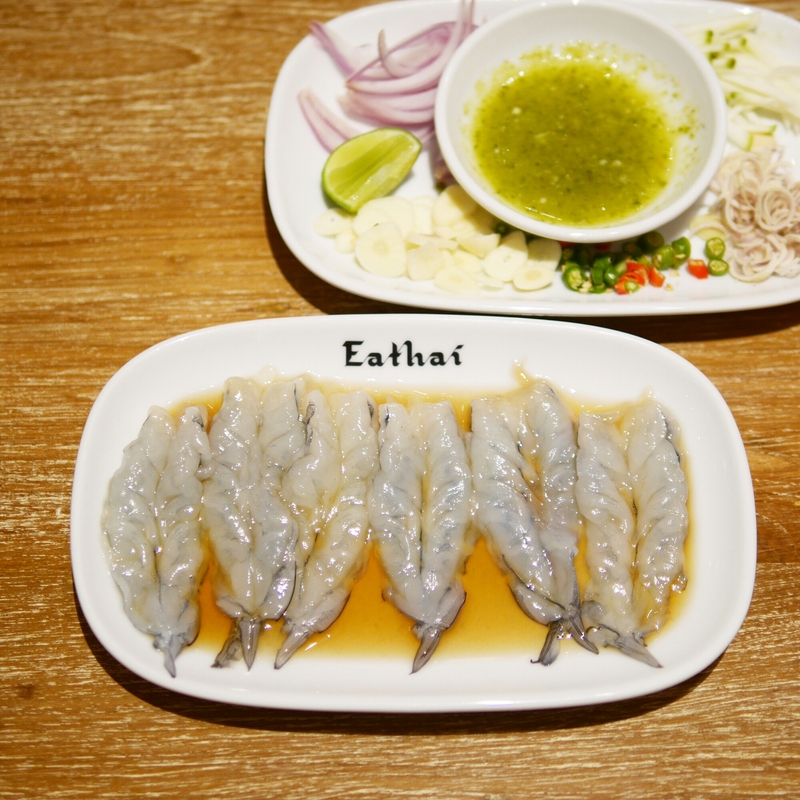 Their tagline is “If food is a journey, we make Thailand a little smaller for you” and that is exactly what this place is about. 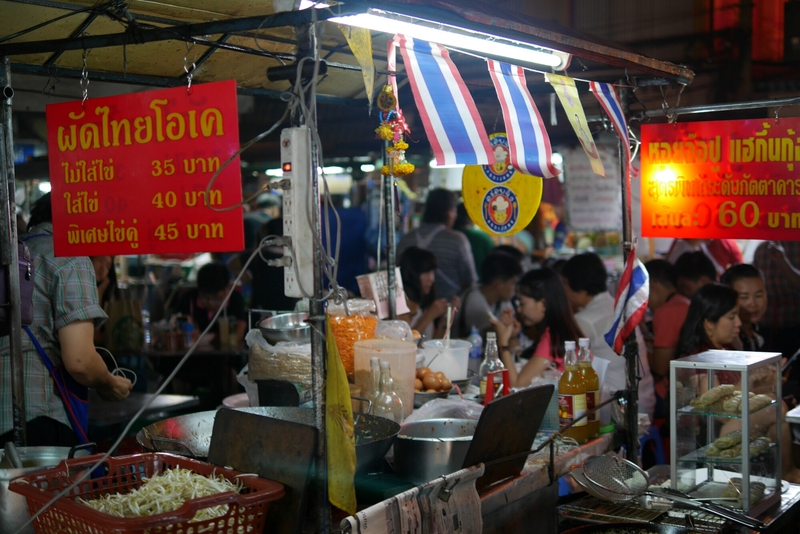 They have food stalls serving cuisines from all over Thailand (Central, seafood, Northern region, Southern region etc) and even stalls with street food and desserts – it is definitely exhaustive. 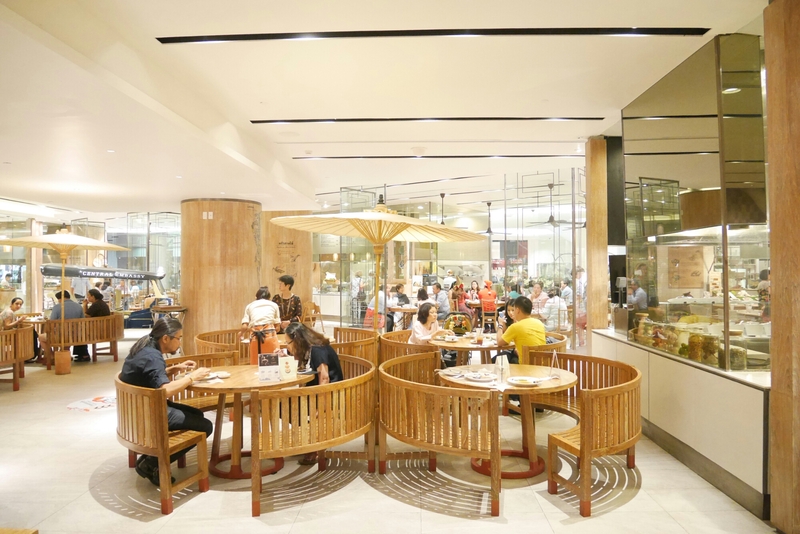 Apart from a great seating area and ambience, the food is very very good, which is kind of unexpected for a food court, right? Numerous dishes I had were the best I ever had, better than the “authentic” recommendations you have to trek miles and sit on dirty stools for! 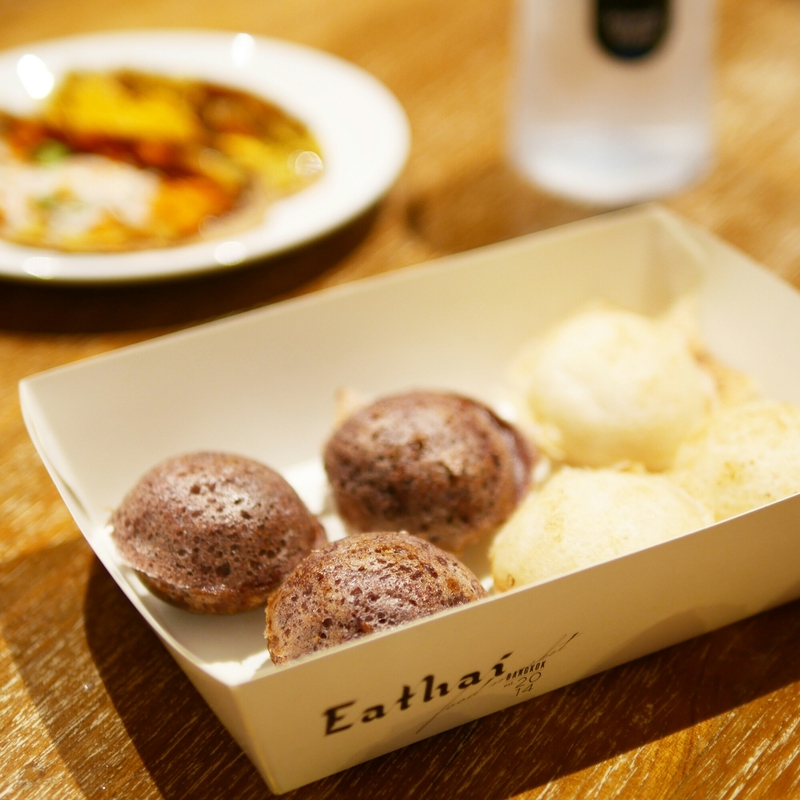 Eathai is located in the basement of a new shopping mall, Central Embassy. The closest BTS station is Phloem Chit. 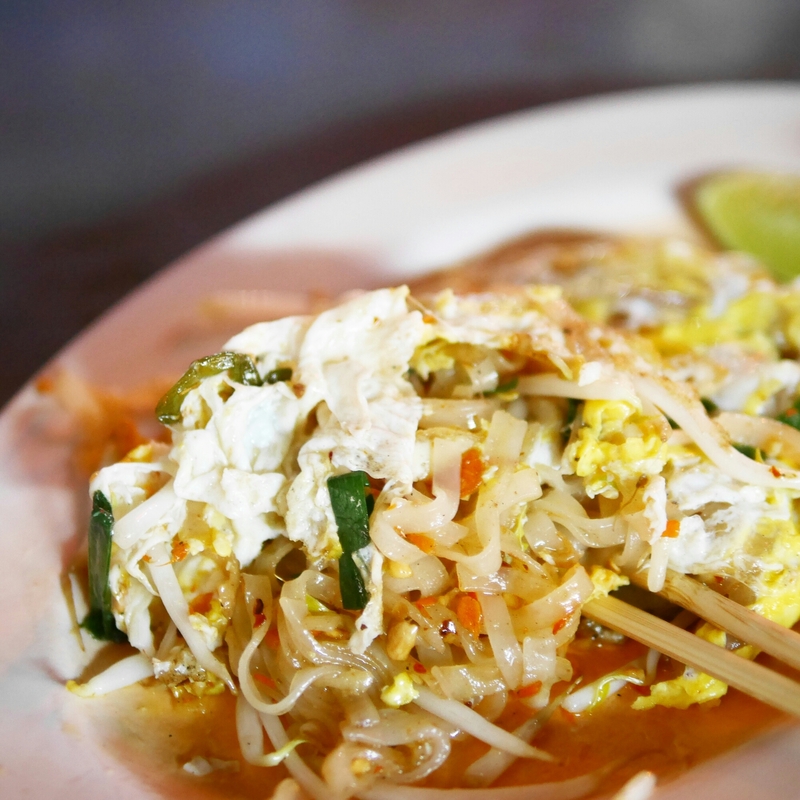 They serve the BEST Pad Thai noodles ever at just THB40 (that’s less than HK$10). 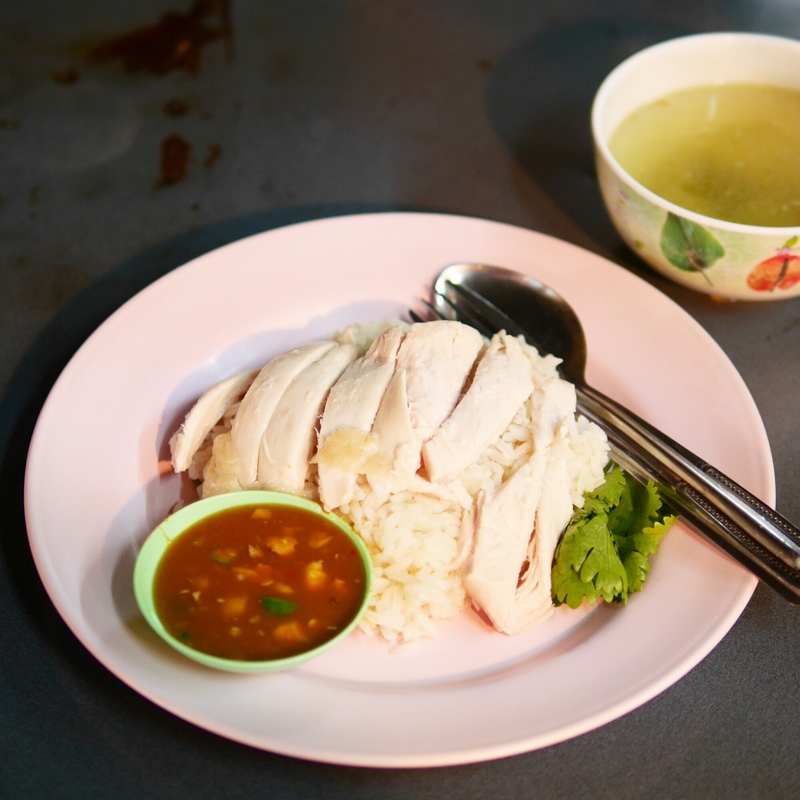 We also had this chicken rice (very delicious too) for just THB40! 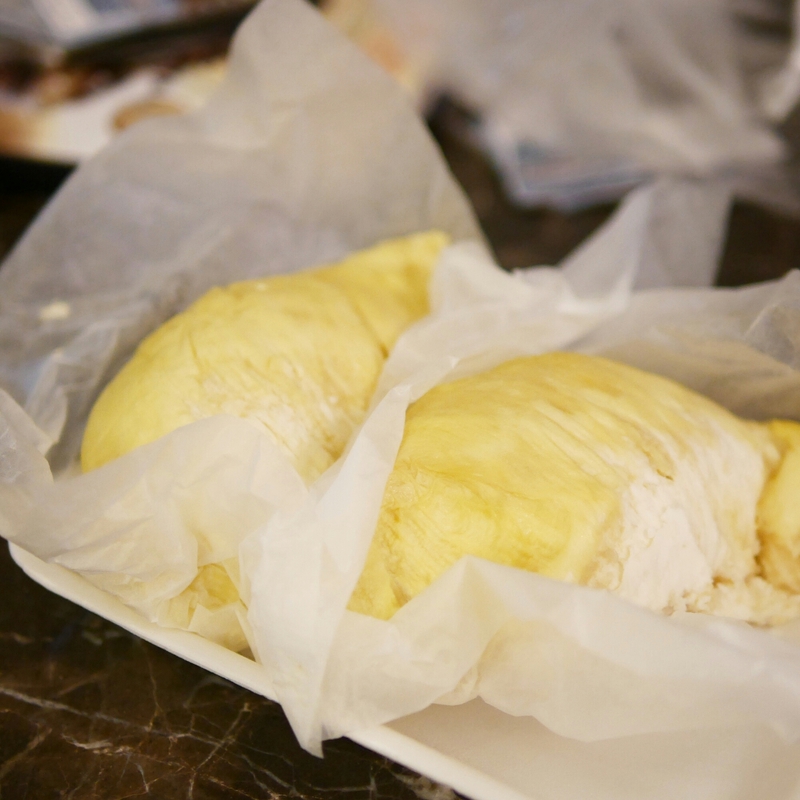 You know Thailand is good for durians, but the lady from “Yaowaraj Durian” (google it, but you’ll recognize her when you see a boss) is expert on durians. You have to visit her and she will pick the best for you – no disappointment. There’s a lot more choice than that – you just need to walk around, see and smell what you like! Chinatown is located closest to Hua Lamphong MRT station, but it’s not close, so I would advise taking a taxi from the MRT, or just from the nearest BTS station, Sala Daeng. 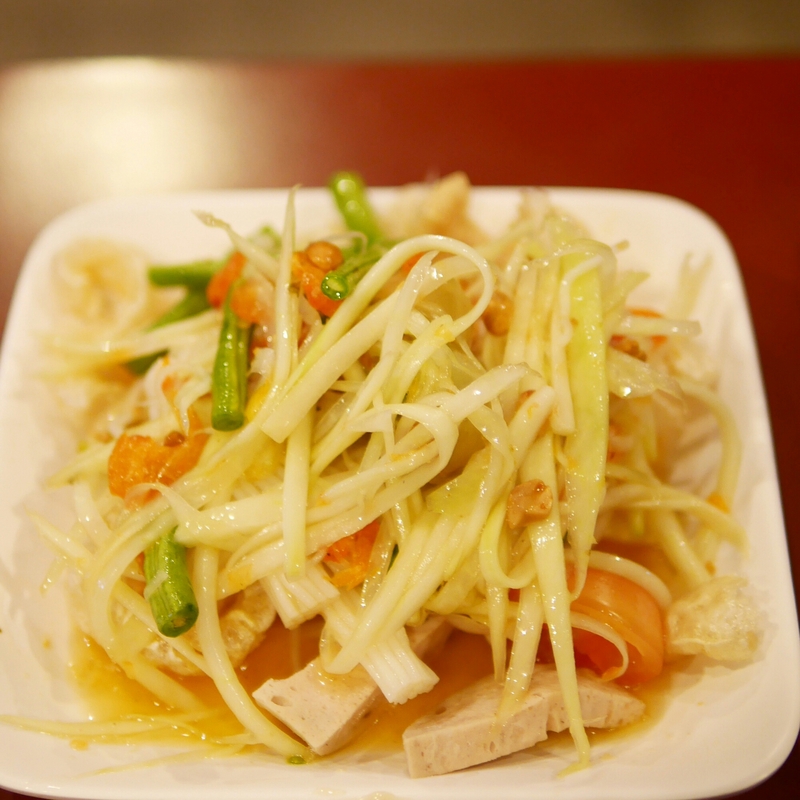 The food at this particular restaurant is a little limited but an excellent choice if you like Thai papaya salad (it’s such a Thai thing). I can’t really tolerate much spice and this dish is so damn spicy, I was eating 10 cubes of ice in between each bite, but it was so delicious that I still finished the plate! 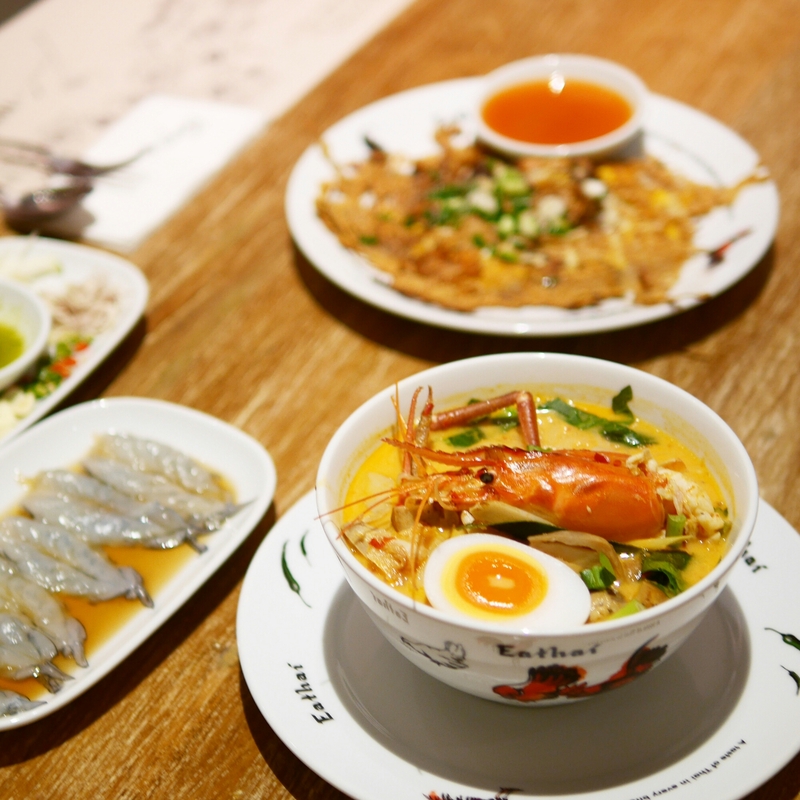 Somtam Nua is located next to Siam Square One, at Siam BTS station. Leave me a comment if you have any questions or want more specific recommendations! Agreed! Both are amazing and I definitely will be going back! Have you had Roast Coffee & Eatery?